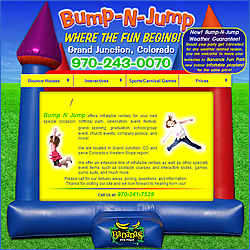 Bump n Jump offers Inflatable Rentals including bounce houses, giant jump slides, interactive air blow ups, and much more to the Western Slope of Colorado. Popular jump rentals include large, standard, and small sized bounce house equipment that is great for birthday parties, block party celebrations, school and church events, grand openings, and more. Interactive rentals, as well as obstacle courses, and water rentals are also a great way to celebrate larger festivals and event gatherings. Visit the website for info on more equipment and pricing and book your Bump n Jump rental today! 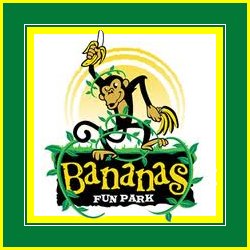 – Groups, Specials, & Party Packages Available – Visit Today!